PCB manufacturing and assembly is a crucial stage that stands between the design of every technology device and the finished product. Critical business metrics - cost, quality, delivery, etc. - are directly affected by the quality of the manufacturing process. Today, PCB manufacturing performance and productivity are under threat as customers’ delivery requirements become more volatile and pressure on both the engineering and materials infrastructures continues to grow. The manufacturing product model is one of the most significant uncontrolled variables. The late-stage cost of re-spinning a design or implementing countermeasures due to production issues can be several orders of magnitude greater than that if a problem is resolved earlier. Moreover, a delay to new product introduction (NPI) can result in major lost business opportunities if you fail to reach customers on time. You must accurately and thoroughly understand the PCB and its requirements. The manufacturing processes need to match the product’s requirements in a way that is efficient and that ensures quality. Designs should be checked against manufacturing standards as they arrive for fabrication and before the manufacturing engineering processes begin. Industry-leading PCB design for manufacturing (DFM) tools mitigate risk and promote product quality. The most advanced DFM tools are based on rules derived from actual process capabilities and configurations. They analyze designs in seconds and then highlight opportunities for cost improvements in manufacture, yield, quality, and testability. Hundreds of tests for PCB fabrication and assembly can be performed that provide clear recommendations to improve a layout improvements, yet without the layout design engineer needing any manufacturing expertise. Advanced DFM tools use data formats such as ODB++ to represent the complete and accurate manufacturing product model, without that model being weighed down by supporting documentation. Manufacturing receives all the necessary information needed to fabricate the PCB itself and assemble the final product as the designer intends, without the need for data reconstruction. Traditionally, the first step taken when a new product is introduced to PCB assembly manufacturing is to prepare the design and related data for a specified set of processes. From the production point of view however, rather than an assumed and therefore fixed manufacturing configuration, the manufacturer really needs to prepare several production configurations from which to choose that which best meets the requirements of the customer at a given time. Shopfloor planning needs to determine production times, rates, and quantities for each product, based on this choice of capable production processes that meet delivery requirements. As the number of concurrent discrete products increases and tolerance for finished goods stock decreases — whether in the factory warehouse or a shrinking supply chain — lot sizes have to become smaller and this requires a much higher degree of production interleave than before. Enterprise resource planning (ERP), manufacturing execution systems, and generic shopfloor optimization software are not that good at finding efficient ways to manage mixed production strategies. They force an unavoidable tradeoff between the flexibility of a higher mix of products against productivity. Planning systems must quickly analyze a project’s shopfloor status, consider changing delivery requirements, and understand PCB process optimization opportunities. That last step requires an ability to survey the project at a high level and simulate material setups, product groupings, within the context of machine and line optimization. The inherent complexity of surface mount technology (SMT) process makes it extremely difficult to achieve these goals. The most common tool used for this process is Microsoft Excel, which can hardly be expected to be able to find the most optimum production plans for SMT. Fortunately, SMT-orientated Production Plan logic is now available that simultaneously optimizes the selection and sequencing of products according to delivery schedules, whilst simultaneously grouping products and feeders throughout the SMT processes. This approach reduces SMT changeover time and optimizes machine utilization and efficiency. It also creates a production schedule that accurately reflects the needs of the customer, and minimizes stock dormancy in the warehouse and beyond. The top-level plan is derived from standard ERP tools together with the requirements for each product, which are then broken down for each line and machine. The Production Plan logic is capable of optimization based on real-time customer requirements, the current production status, and the inventory of available materials. Such tools can manage thousands of products over a period of time and perform optimization for the whole shopfloor, applying a flexible set of rules that determines planning policy and priorities. The result is an immediate increase in operational productivity, with high-mix PCB production achieving levels of efficiency approaching those for high-volume. The ability to respond rapidly and precisely to demand changes means that the factory can be flexible without having to resort to accumulating stock of each of the products or sacrificing performance. SMT engineers generate production-ready machine programs, test and inspection data, and visual documentation by converting the manufacturing product model data and a local bill of materials (BOM). That BOM usually comes from the ERP system. This is the first step taken at electronic manufacturing service (EMS) companies, where an understanding of the cost of PCB production is required, along with any specific physical project requirements (e.g., safety-critical requirements for automotive applications). Carrying out complex process preparation can be very difficult. It starts with the product data qualification and merger of the local BOM data. This step often encounters discrepancies that must be resolved before other processes can start. It is important to get a full understanding any new materials that are being used (e.g., how they are supplied and what sizes and shapes are available, etc.). Then the SMT assembly work has to be split across different machines in any specified configuration. These machines may run on different software platforms or come from different equipment vendors. SMT-related processes (e.g., screen printers, reflow ovens) also need to be set up. A similar process flow has to be created for each of the test and inspection processes, whether these are manual, automated or a combination of both. Finally, comes the operator documentation. Performing all this for each PCB product often consumes the available engineering resources, particularly in a time when the number of products and the product mix is increasing. As a result, defacto assumptions are inevitable, and these typically lead to restrictions that limit each product to a specific line configuration. 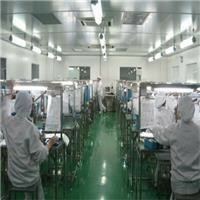 Therefore, there are effectively very few, if any choices, about which SMT line is assigned to any product. Frequently to make life easier, many manufacturing lines will have the same configuration, eliminating any choices in the production rates that can be achieved. This leads to a situation where some lines frequently build to stock not required for delivery, while other lines stand idle. Delivery targets for some products become unachievable. This is changing thanks to advanced Process Preparation tools. They take the design data and merge the BOM within a graphical interface, allowing discrepancies to be quickly identified and resolved to create a single product dataset. These tools can generate optimized SMT program sets, test programs, inspection data and more. They can identify all the necessary PCB manufacturing engineering process steps across equipment from multiple vendors. Direct outputs to SMT machines, testers, and inspection machines can be sent without manual data manipulation, using sophisticated automated native program and library generation tools. All engineering processes share a common-parts-shape data source, linked with the ODB++ product model data and the web-based shape library. Simulation of the SMT machine operation is performed in software to correct placement rotation and offset errors, removing the need for physical product qualification, and thus avoiding line downtime for NPI qualification. The results include reduced NPI lead-time, increased asset utilization, the elimination of line down-time for product qualification, and a reduction in the engineering effort to duplicate data maintenance across different systems. Overall, there are general increases in machine optimization, line balance, test coverage, reliability and yield, and assembly operation. SMT machines are now very fast, and SMT materials have become very small. It is impossible to follow the operation of SMT machines with the naked eye. Multiply the inherent challenge here by the number of machines across all the lines on the shopfloor. Now ask yourself how can even the most experienced industrial engineer be expected to diagnose and explain sudden drops in performance or find the causes of unexpected quality issues using traditional inspection techniques. This affects both the reliability of on-time delivery of products, and stresses the associated production resources and materials supply chains because they cannot be synchronized effectively to requirements. Planning changes required to meet changing demands can be very risky to execute because of all the unknowns that need to be assessed. Materials will have been physically committed to production in terms of kit preparation; work-orders may be partially completed with associated part-built work-in-progress at several locations. The true utilization rate of equipment is also often unknown: State-of-the-art machines incorporate multiple heads, multiple conveyors, and multiple modular stages, and this combination can hide significant avoidable idle time. Also, the timing of changeovers between products cannot be predicted accurately which creates bottlenecks. These percolate right through to issues such as which operator performs which task. Reports created using data extracted from individual machines have little meaning because they do not consider the full context of events, specifically the effects of external causes of stoppages. The situation is so dismal, that manual data collection or simple PCB counting is still often the norm. Data from the SMT production process generally has minimal value. It is inaccurate, incomplete, unqualified, and arrives too late to be acted upon. All this creates a huge limitation for successful productivity improvement initiatives, planning optimization, material delivery, and resource management. Here again, the introduction of advanced capabilities is providing new approaches that can collect and process data in real-time no matter what type or vendor of SMT machine or related process, including manual operations. Events and supporting data are read and normalized, eliminating differences in the data format and meaning, and harmonized for a single common language. Data collected is automatically qualified. For example, when a machine stops, the production line can be analyzed to see why the flow of PCBs has stopped, or why the output conveyor is blocked. So, the occurrence and cost of any event during production can be accurately attributed. Information about complex SMT processes (e.g., under-utilization of modules or heads) is recorded and this exposes opportunities to improve productivity. Event data collected even includes the precise usage and spoilage of materials so that accurate material consumption can be reported. As the data is collected and processed live in real-time, it can be utilized by many of the key operational and control functions. Use cases include the data’s exploitation by asset management to increase productivity, by material management for JIT delivery of materials to the line, and by production planning to implement changes that are exactly based on the current production commitment. This leads to an increase in productivity, improved reliability for on-time delivery, reduced on-site finished goods storage, and better planning change execution that follows customer requirements. The price of holding excess stocks of raw materials in the factory can rival labor cost differentials in manufacturing in different locations across the world. Issues with PCB materials shortages have progressively shifted from the shopfloor to the warehouse. That does not mean they have been resolved, simply that they have been moved somewhere else. Relatively frequent stock checks have become essential across the entire factory because significant discrepancies can accumulate between volumes recorded in the ERP system and the physical volume of raw materials held on site. As a result, the minimum stock thresholds set for the warehouse by manufacturing resource planning (MRP) systems are typically higher than necessary. The MRP managers want to ensure there are enough materials to cover any re-order lead times in the additional context of materials that may be 'lost' between physical stock checks. Problems related to material logistics have also spun out of control as raw material volumes have become unmanageable on the shopfloor. There are often partially-used and improperly accounted material reels left around at the end of work-orders. Specific PCB management requirements for materials used in surface mount technology (SMT) processes (e.g., progressive moisture contamination) are often compromised, leading to quality shortfalls. As a result, customers' requests for changes to delivery schedules are sometimes deemed impossible to meet because of the high risks associated with the unknowns around physical material availabilities. Then, there is the heavy workload involved in removing and/or reallocating kits of materials. To regain some control, new tools uniquely identify all materials in the PCB assembly factory using barcodes. These are attached to each material carrier, be it a reel or something else. Each material has assigned attributes that inform advanced stock management and tracking procedures, including support for SMT-specific issues such as the baking and dry storage of materials that are particularly sensitive to moisture. These software solutions enable lean materials management, including Kanban control across multiple warehouses and managed locations on the shop-floor, as well as the proper use and scheduling of just-in-time (JIT) deliveries. Material selection from the warehouse is optimized for FIFO and many other configurable rules to reduce obsolescence, reduce search, improve location management efficiency, eliminate stock pick mistakes, and offer specialist oversight such as LED bin control. The correct stocks are verified in position on machines at setup to prevent those machines executing with a wrongly located material. Accurate live materials consumption information is synchronized with ERP tools to adjust re-order quantities and ensure the integrity of the inventory. This eliminates the need for periodic physical stock checks, minimizes machine setup errors, and reduces re-work and quality failures. It also cuts the volume of material stocked both on the shopfloor and in the warehouse while increasing productivity and making it easier to rework production schedules. Successful PCB manufacturing can be thought of as the creation, one after another, of perfect products. Variation that affects the quality of those finished products threatens that overarching goal. The PCB test-and-analysis regime has been developed to address defects that occur as a result of production processes gradually or suddenly going out of control. Let's say, for example, that there is a change in the material supplier. Although the new company may be qualified to supply under a common internal part number, the switch can cause a sudden increase in placement errors if there is just a small difference in, perhaps, height. Machines' visual detection algorithms can often detect these problems, which is good in terms of reducing placement errors but also results in an ‘invisible’ spoilage of materials at the machine. Many other problems and defects can slip through manufacturing, only to be discovered at test or even later in the market. Along with material-related issues, process issues around screen printing, SMT mounting accuracy, and reflow can all lead to some degree of variation. The ideal scenario has the test process act as a filter, ensuring that no defective products make it out of the factory. However, the nature of PCB test means that this can never be guaranteed. Statistically, the greater the defect rate found inside the production operation, the greater the corresponding defect rate in the market. Because the consequences can be severe when a major defect is found, typically a PCB line is immediately stopped, pending investigation. To significantly shorten this process, advanced software can now capture test results and repair tickets electronically, assigning the results to each uniquely identified production unit. Such tools will immediately flag a problem and this ensures the correct routing of a defective unit to the repair station. At the same time, statistical analysis is performed to determine whether a more widespread problem has arisen. At the repair station, the electronic repair ticket is automatically displayed with the manufacturing and test history and the product design layout data to speed up diagnosis. The software incorporates a statistically-based expert system engine. It can quickly analyze the symptom of the defect on the repair ticket and then diagnose its root causes with reference to previous repairs. This greatly reduces the time needed to find and process defects, limiting the scope of any quality failure. It also enables the statistical identification of out of control conditions while reducing dependence on specialist skills for defect and root cause analysis. The increased timeliness and accuracy of quality reporting allows the manufacturer to change assembly operations swiftly, thereby reducing the extent of any defects. Fewer defects in the factory means fewer escape into the market. There are high costs associated with finding quality issues once a product leaves the factory, especially those that have a safety- or business-critical element. This has led to two key requirements being placed upon PCB manufacturing operations for some time by that last group of customers. Recently these requirements have also been imposed by an increasing number of producers of high volume consumer products. The first requirement is traceability. Should a defect be found in the market, the supply chain must be able to quickly analyze its source to determine what other units of the same product might have the same problem. In automotive, successful traceability can make the difference between recalling thousands of cars and a more controlled scenario where only a few hundred cars are recalled. The second requirement is conformance to designated operational standards. This is an attempt to reduce defects by making every operation follow a defined procedure. Conformance strategies will likely have built-in checks that ensure that everything is performed correctly, in the right sequence, and with the right setup. Unfortunately, both requirements usually increase PCB manufacturing costs because they require additional human input, both to enforce compliance and to record processes. They can reduce productivity as they add additional tasks and force temporary pauses in a line for manual data collection. A lack of confidence in any manufacturing process can lead to the imposition of crippling procedures. To promote compliance without impeding the PCB manufacturing flow, new software-driven approaches continuously gather data about materials and processes during operation. The data includes test results, the movement of units through production, materials placement and more. Almost all this information is collected automatically and associated directly with each specific production unit. The tools then generate complete traceability build records. The software follows best practices. It enforces and checks correct operation as part of the standard process. For example, it will verify the presence and composition of materials at the time of machine setup. Traceability is achieved at minimal additional product cost or effort because it becomes a built-in part of the whole PCB manufacturing flow, not just the SMT machines. Automated analysis and reporting functions can build records on demand, so that any issue can be quantified and contained at a moment’s notice. Conformance and traceability reduce the number of needless product recalls, enforce quality and control costs. Moreover, the cost of ownership and operation for these tools are minor compared to processes that require manual data collection. In fact, when they are used effectively, these tools often deliver instead significant operational benefits. Because of the complexity of SMT-based PCB manufacturing, different teams must assume different roles across the flow, each with different motivations and incentives. The performance of each team is measured in different ways. This can lead to boundaries (or, commonly, 'silos') being erected between various competencies, and a situation where operators, engineers and managers may work well within their own specialities but do so far less efficiently at the boundaries of their responsibilities. For SMT, specific competences that can become silos include production operation, production management, planning, supply-chain, quality, and industrial engineering. When an issues arises, each team may well have a different perspective, often leading it into conflict with colleagues elsewhere. As a result, some problems can go unaddressed because a solution is perceived to entail more cost than simply 'letting it go'. Initiatives within or from one team may have detrimental effects on others, and come to be seen as little more than 'flavor of the month' improvements. They can also quickly lose their attraction once attention becomes focused elsewhere. This limits real improvement and results in far too many missed opportunities. In a manufacturing environment built around a common PCB manufacturing software infrastructure, everyone has a consistent view. Diverse information from different parts of the operation is qualified, accurate, and timely. Everyone gets the same information from the same source, but tailored according to each particular group's competences. This enables different teams to work more effectively together, avoiding differences of opinion. Everyone can work toward a successful conclusion. Benefits include higher productivity and better quality. Responsiveness is more timely, fixes stay fixed, and a much more harmonious shop-floor working environment is created. For example, as delivery timetables change, planning changes can be made and executed by each team within a context that makes them part of their normal workflow. The challenges that PCB manufacturing faces are not new. However, the complexity of today's products and manufacturing processes mean that they can be much greater in both their scale and impact. That highlights a now compelling need for change. Volatility in customer demand is an inevitable by-product of consumers’ increasing influence on the high technology economy, and also our need for more energy-efficient devices. In addition to their complexity, today’s 'core' products actually tend to have many more variants and shorter life-cycles. All this requires that factories adopt a step-change improvement in the flexibility of their operations. Most volatility is due to a distribution chain where the elimination of buffer stocks has propagated lurches in demand right through from consumers and commercial customers to the factory floor. A complete manufacturing operation needs to be re-engineered to enable it to efficiently react whenever timetables and product mixes change as a consequence of end-market turbulence. In response, automation within SMT manufacturing is now extending from the machine and mechanical level into software. The complexity inherent in SMT technology is too great to manage manually. It must be automated with regard to key data. Today’s advanced software capabilities provide a unique combination of support for the key areas, providing automated control mechanisms as well as a higher order of information for management purposes.